Now that my feet are firmly planted on the other side of 40, retirement does not seem as far away as it once did. It’s not that close either, with that in mind, I started looking to those who are already in retirement to see what life looks like to them. Barry Welford writes Senior Money Matters which is full of tips and how-tos for spending money in retirement. Welford has degrees in mathematics and statistics from Cambridge and London and is a writer, consultant, and an internet marketing expert. Though there has not been a new blog post since June, I’m including Senior Money Matters because this blog is full of common sense advice, which will stand the test of time. Welford’s article on the financial sins of retired people is not just relevant for those retired but a useful guide for planning for retirement at any age. He also shares solid advice on what to do when you are Retired and Broke. This advice may not have been necessary if Six Tips For Successful Saving, Investing and Spending was followed. My husband and I often talk about where we will live when we retire. Senior Money Matters advises that budgeting for where to live during retirement is necessary now. Retirement – Only the Beginning is written by Dave Bernard who has worked for 30 years in Silicon Valley, has written for US News & World On Retirement, and published I Want To Retire! – Essential Considerations for the Retiree to Be. Bernard shares stories and advice about retirement from his own experiences. There is some sound financial advice like preparing for the financial side of retirement and practical advice like rewarding yourself in retirement. 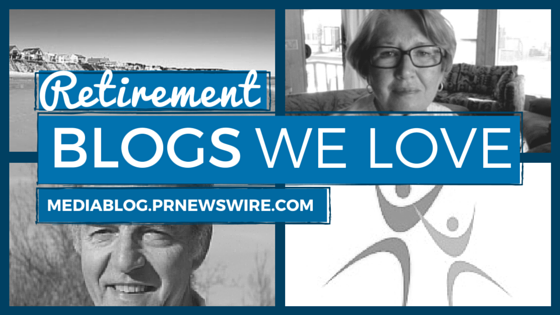 He shares that retirement is not an easy transition and reassures readers that it’s okay. Bernard admitted in Retirement Checklist Revisited that retirement was not what he expected but now that he has several years of experience, he has found a balance. Joe’s Retirement Blog is a photo journal Joe’s travels while in his retirement years. The blog itself is pretty basic, but his wonderful photos and descriptions make you feel as if you are traveling with him. I’ve wanted to visit New England in the fall and if it looks as gorgeous as his photos suggest, I’m booking my holiday for next year now. Joe has a running list of places he has been on the right and exploring all of the places he has been a treat for the eyes. I highly recommend all of the posts from Mexico. When I first stumbled on to Retire in Style, my eye went right to the How to Read a Blog! tab. Detailed directions on how to read a blog is exactly something I would expect my grandmother, who was also a teacher, to have on her blog. If you want something done right, tell them how it should be done. Barbara Torris and her husband of 54 years are snow birds, and she shares their life as retirees. She recently wrote about what’s it like to be a snow bird and how coming home to Arizona in the autumn is not the same as going on vacation. Retire in Style has a series on small spaces and downsizing your living that I enjoyed. It’s hard to imagine right now with two kids a smaller, less cluttered house but she makes it look heavenly.